Once again I’d like to thank everyone who writes to me every day – I so enjoy staying in touch with you and learning about your experiences and the questions you have, and I read all your messages. 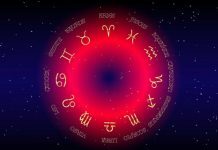 However, because Twin Flames 11:11 has got so incredibly busy I’m not able to reply to everyone personally – but I do my best to answer in the blog. Spirit is also regularly in touch with suggestions for articles and new meditations and clearings based on the needs of the Twin collective. 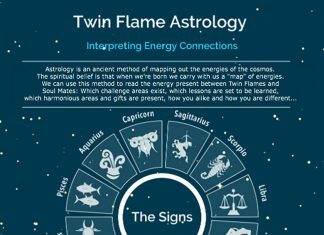 One of the most common questions I get is about Twin Flame Telepathy, and this really is one of the hallmarks of the true twin connection. It was the first sign I had that something about this connection defied anything I’d ever experienced before. If you hear your Twin’s voice or receive messages or hear songs in your mind, you are experiencing telepathy. Receiving images and “film clips” is also common between Twins and for lightworkers it’s common to receive this from the higher self and guides, but this is technically called “clairvoyancy”. New Science Confirms The Existence of Telepathy! Scientific research done at Harvard University now actually confirms that telepathy is verifiable, in an amazing experiment covered all across the scientific community in 2015 – which is amazing! If you want to read more about this, have a look at the linked article. If you aren’t experiencing telepathy with your Twin, don’t fear though, as it’s most likely due to congestion in your energetic channels. We have telepathic channels that go around the eyes and forehead, and clairaudient channels around the ears and down to the throat – if you have tension around the ears it can often be a sign that your channels are blocked either because of congestion, or because someone is communicating to you but your ego filter is shutting it down. Clearing these channels is the fastest way to open up! 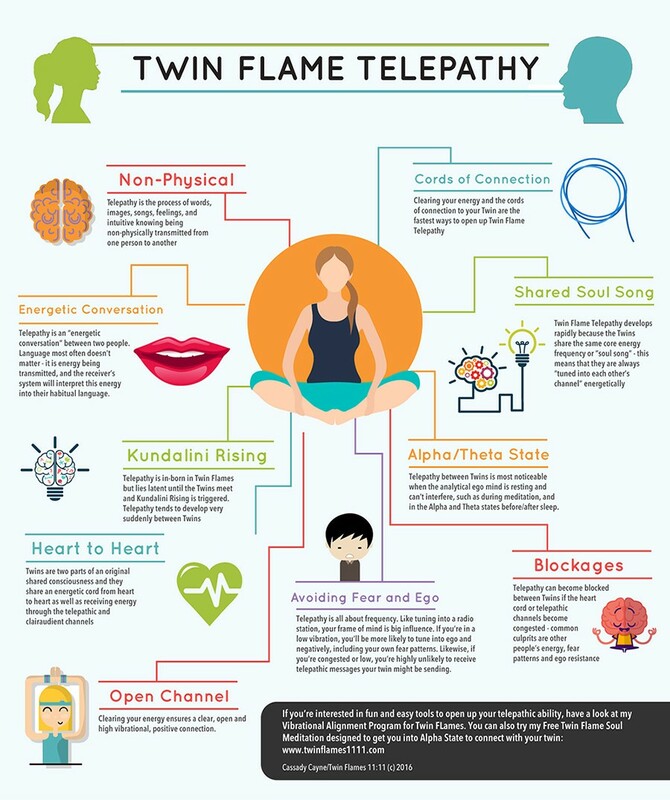 After connecting with my twin and experiencing Kundalini Rising, I developed telepathy within a few short months. It really happened incredibly fast because I was clearing energy and using energy management tools to lift my vibration. Whenever the telepathic connection seemed to dissipate, energy clearing and meditation has brought it back online. We share all the tools we used to open telepathy and remote interaction (soul journeying together on the 5d planes) in the Vibrational Alignment Program we created after reaching union. Want more? 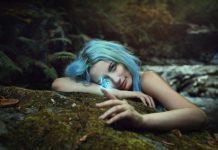 For an easy, fun way to manage your mindset, elevate your vibration and harmonize your journey with your Twin – including a whole class on developing telepathy and specially designed tools – have a look at the Vibrational Alignment Program for Twin Flames here.